Over the years, I realized that many of my clients simply needed assistance with planning, re-arranging their existing furnishings, move-ins, home staging and other consulting services. While most designers were still focused on product sales, I began training to become a truly “full service” designer. 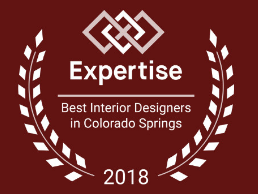 In my previous firm, I became one of the very first certified designers in Colorado Springs. In 1999, I traveled to Florida to train with Carole Talbott and completed the intensive training to become a Certified Visual Coordinator. Whether you are starting with a “naked room,” a fully decorated room or a cluttered room, my experience, knowledge and color coordination will provide you with affordable design solutions that you will love. Oversee your entire design project with respect, integrity and professionalism. Work closely with you to give you the design, look and feel you desire. Stay in constant contact with you and answer all your questions. Work with you to find the best vendors and stay within your budget. Maximize space planning and the functionality of your home. Treat you and your family as a close friend or colleague. Respect your home, lifestyle and privacy. Listen closely to your desires and make suggestions on how to achieve them. I offer academic, certified and professional experience to serve all my clients with sensitivity, paying close attention to all your needs, ideas and preferences to achieve your ultimate satisfaction. Christine, I got your thank you note, but I’m the one who should be thanking you. I love the ‘new look.’ It’s a breath of fresh air and just what I wanted. I’m really looking forward to doing the bedroom!